18 women have changed their career to join the arts and crafts chain to “become their own boss” – Could it be the business opportunity for you? 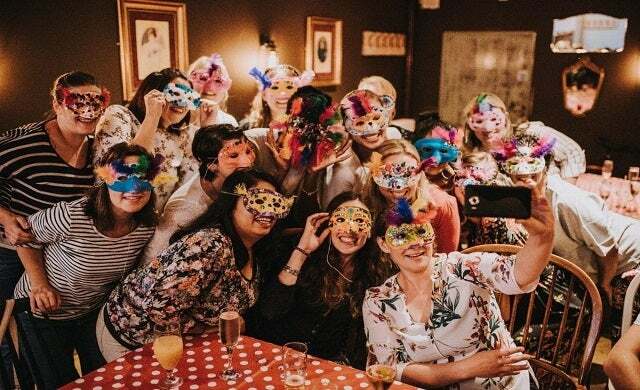 The Creation Station, an award-winning UK arts and crafts franchise, is becoming a popular business prospect for budding female entrepreneurs following the news that it has recently welcomed 18 female recruits to its network. The franchise – which specialises in activities such as after school clubs, birthday parties, family events, adult crafts and educational pre-school classes – says that while its female franchisees come from a wide variety of backgrounds, they “all have a desire to make positive difference”. Among the women in business to take up The Creation Station franchise opportunity is Natalie Cooper. Established in 2002, The Creation Station offers new franchisees comprehensive training and on-going support with a start-up package of £3,000 which includes stock and materials such as leaflets and banners. The franchise brand currently operates in more than 100 territories across the UK, boasting 130 franchise owners. “If you have come to a point in your life where you would love to take more control of your working life, to do something that is both fun and rewarding, and to realise the benefits of your own hard work, then find out about running your own Creation Station franchise. To find out more about becoming a franchisee for The Creation Station, click here.